John W. Wescoat applies extensive knowledge about property rights, real estate issues, finance and business to all areas of real estate law. 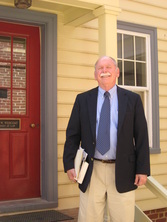 With more than 45 years of experience in real estate law, I can help you with: -Residential home sales transactions -Commercial property sales transactions -Homeowners associations -Condominium law -Landlord-tenant disputes -Evictions -Foreclosures -Real estate contracts -Eminent domain -Zoning, land use and building permits -Boundary and easement disputes -Title disputes Real estate transaction attorney From offer to sale, I handle all aspects of buying and selling real estate and construction, so that you can feel confident about a smooth and precise transaction. I can: -Draft or review your sales contract -Negotiate real estate agreements -Review your lending documents -Search and clear title -Analyze your deal and rectify potential problems -Handle land use, zoning and permitting -Conduct your real estate closing Real estate litigation attorney Real estate litigation requires substantial knowledge about property laws and civil litigation, as well as a dynamic courtroom presence. I possess the specialized knowledge necessary to successfully litigate your real estate disputes. Real estate negotiator Some disputes are better solved outside of the courtroom, and I can guide negotiations to protect your interests. By retaining an experienced mediator to strategize during the contract negotiation process, you can often prevent disputes from arising at a later stage in the real estate transaction. This can save time, costs and frustration.